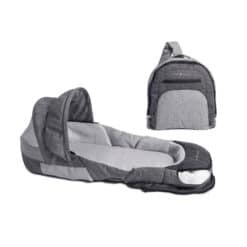 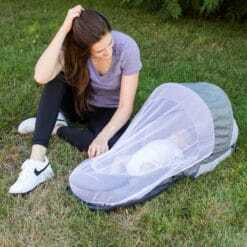 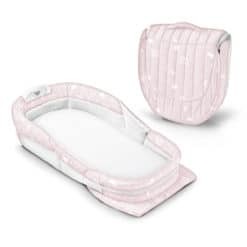 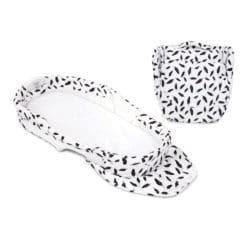 The Snuggle Nest Adventure is an indoor/outdoor portable infant sleeper that is designed to offer a greater sense of security for newborns wherever they sleep. 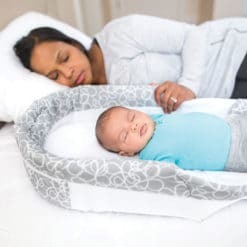 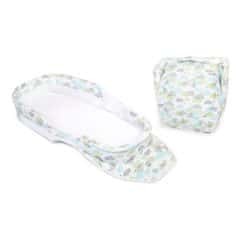 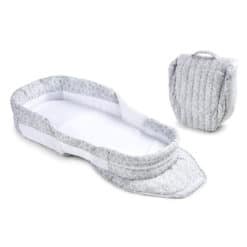 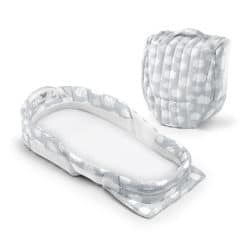 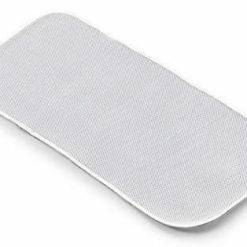 It can be used for co-sleeping in bed with parents or when traveling, whether indoors or out. With added storage features, it is easy to pack up with your baby’s needs for a few days, or for a short trip to Grandma’s. 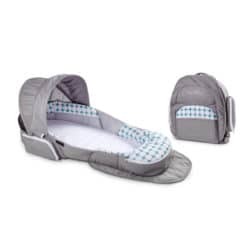 As the name suggests, this Snuggle Nest was designed with Adventure in mind! 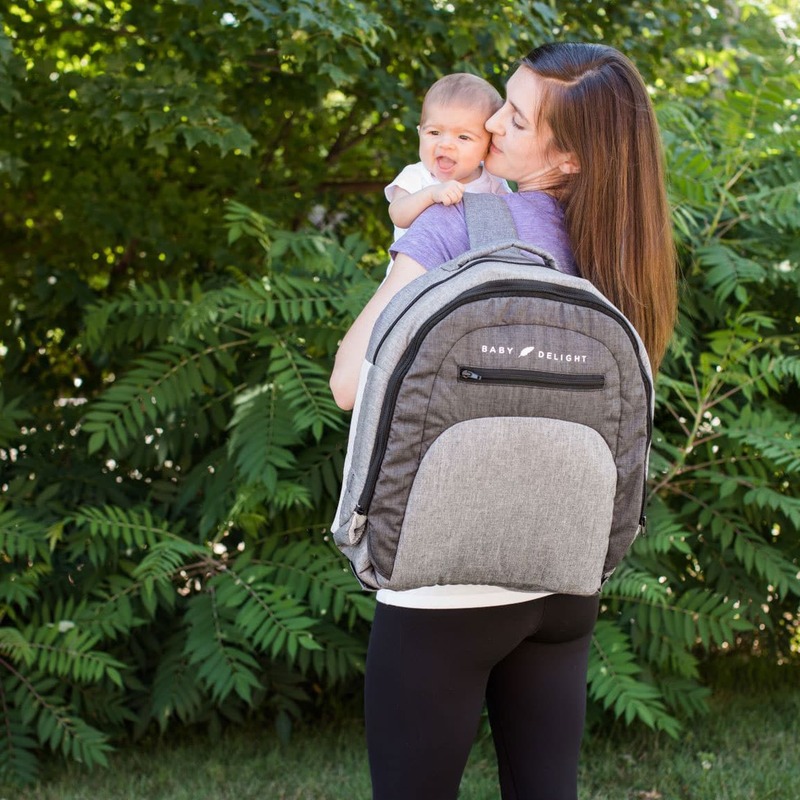 The backpack strap makes it easy to throw it over your shoulder for a hand-free carry. 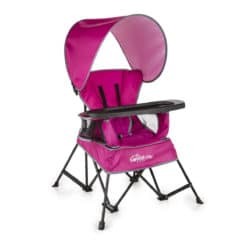 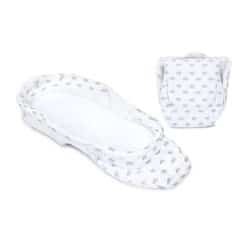 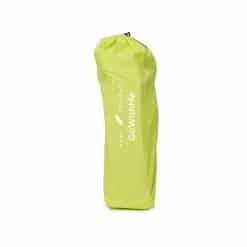 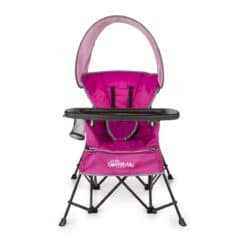 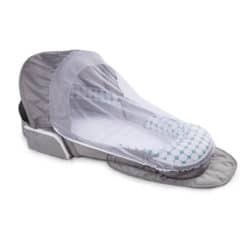 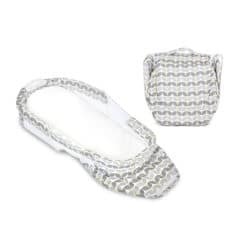 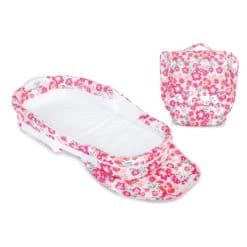 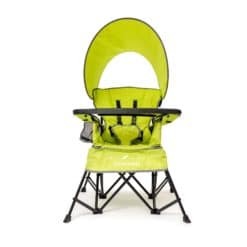 A removable canopy and mesh bug netting are included to help protect your little one from the outdoor elements. Every day with a newborn is an Adventure, let this one make your life a bit easier!